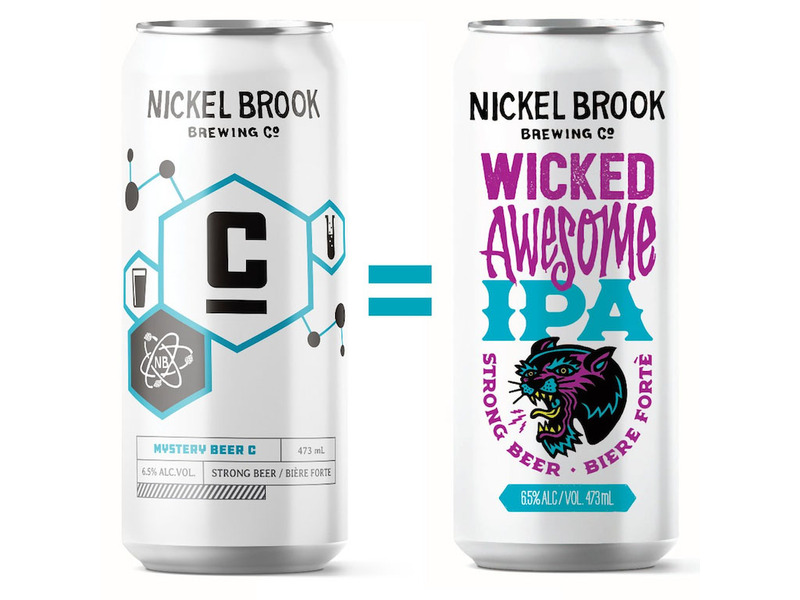 (Burlington, ON) – Nickel Brook Brewing Co. (“Nickel Brook”) announced today that Beer C, the New England IPA, was the winner of the Mystery Pack vote and will be released widely through retail and licensee channels this Spring as Wicked Awesome IPA. The beer was the most popular selection of the four beers included in the brewery’s Mystery Pack, winning 34.2% of the final vote. Wicked Awesome will be available in Ontario through the LCBO, the brewery Bottle Shop and Online Store, and at licensees across the province. Nickel Brook Brewing Co. was founded by John and Peter Romano in Burlington, Ontario in 2005, and in 2015 converted their original brewery into a dedicated sour and funk beer facility. They are committed to using only the finest natural ingredients from around the world, and brew them in small batches for the highest standard of quality. Nickel Brook continues to be an award-winning Ontario craft brewery that constantly strives to push the boundaries of brewing culture.